Read how an accelerator can make valuable introductions to mentors, investors and more, and help your startup gain credibility in your industry. A new approach to start-up investment sees entrepreneurs compete for small amounts of funding with short, snappy videos. Sales solves everything and these tools solve sales. Why Nudge.ai? Reach out to the decision makers at Datahug with a personalized email - let them know that you found their recent news mention interesting. Nudge.ai’s relationship intelligence platform can help you find the right executive to reach out to at Datahug, such as Kevin Mannion, Director Product Management and Marketing, or Conor Hickey, Customer Success. Then get in touch and start a conversation. Executives can be difficult to reach, but every company has connectors who bring together people and ideas. At Datahug, people like Kevin Mannion, and Conor Hickey are likely connectors. When Datahug is mentioned in the news, Nudge.ai often sees topics like Venture, and Talent. If your conversation focuses on these topics, you’ll probably get Datahug’s attention. When Datahug is mentioned in the news, companies such as Hypergrid, and BMW are often also mentioned. These companies can serve as customer examples. Employees who are often in the news are usually open to starting conversations or exploring ideas. Nudge.ai's sales AI saw Ray Smith from Datahug recently mentioned in the news. 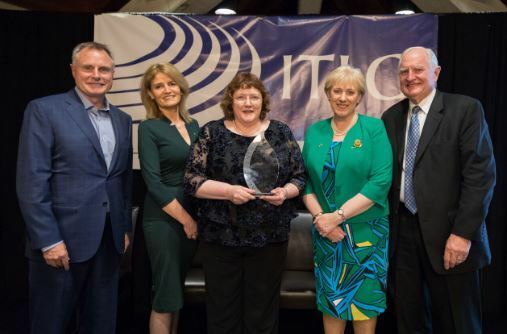 Palo Alto—the Irish Technology Leadership Group hosted its annual Silicon Valley Global Awards celebration yesterday, recognising and celebrating the achievements of 50 Irish and Irish-American technology leaders making a significant impact in their field. Who in your network can introduce you to Datahug? Nudge.ai finds the best pathway to reach contacts at this company.